RCIN 805164 - Coronation of Charles II. 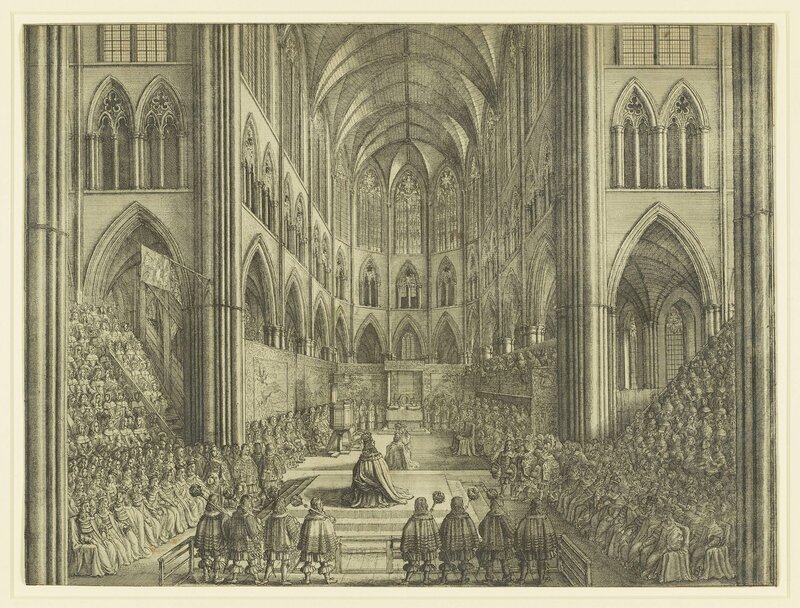 Choir of Westminster Abbey with steep tiers of seats in transepts filled with spectators. King seated on stool on dais in foreground, and is also shown, further on, being crowned. Peers seated on each side. Sergeants-at-arms in foreground.